Vehicle mount mobile computers put robust computing power in a rugged form factor designed to handle the vibration of forklifts, fleet cars, delivery trucks and other vehicles. These devices provide increased productivity and reduced errors in picking, put-away, shipping, and receiving applications. From the warehouse floor to inside a freezer, these terminals provide real-time access to the data you need in any environment. Motorola MK2200 digital multimedia kiosk system allows you to improve customer loyalty and satisfaction for a stronger bottom line. The MK2200 features four programmable function buttons with touch screen option along with a comprehensive software development kit (SDK) makes it easier and faster than ever before to create and deploy your applications. The unit is network enabled and connects to your network from anywhere with a wireless or wired Ethernet connection. Its trim, ergonomic design with a depth of less than 4-inch mounts easily, anywhere in the store on walls, end-caps, shelves or poles. The Motorola MK2290 multimedia kiosk is the perfect space-saving device to cost-effectively deploy and run applications with digital signage, price verification and barcode scanning throughout your retail environment, plus it features an 802.11a/b/g wireless connection for unmatched flexibility. Its award-winning scan engine technology reads all common barcodes found in retail environments and with the optional magstripe reader users can swipe a card for identification and account access. It is also power-packed with Intel Xscale 400 MHz CPU, Windows CE .NET 4.1 OS, Internet Explorer CE version 5.5 compliant browser and more. The VC5090 Vehicle/Fixed-Mount Mobile Computer from Motorola combines rugged construction and high performance wireless networking to enable real-time data access and collection in the harshest environments. Industrial and military grade specifications for vibration, shock, temperature and sealing ensure reliable year-in and year-out performance - whether your workers are on a forklift, in the freezer, moving through the warehouse or at a fixed station. 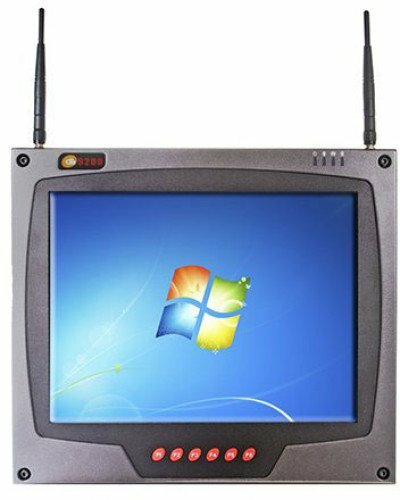 The VC5090 provides support for terminal emulation, browser-based and custom Windows CE applications that streamline warehouse operations, improve decision making, increase productivity and profitability. The ImageKiosk 8560 enhances the overall customer experience through simple finger-touch navigation and instant on-screen feedback. The innovative design is ergonomic, durable, and friendly to use. The ImageKiosk 8560 offers a low cost of ownership through labor savings, standard operating system architecture, and low maintenance costs. In the world of mini-kiosks, the ImageKiosk 8560 is the best choice, offering unrivaled power, versatility, value, and quality. The ImageKiosk 8570 enhances the overall customer experience through simple finger-touch navigation, a magnetic stripe reader and instant on-screen feedback. The innovative design is ergonomic, durable, and friendly to use. The ImageKiosk 8570 offers a low cost of ownership through labor savings, standard operating system architecture, and low maintenance costs. In the world of mini-kiosks, the ImageKiosk 8570 is the best choice, offering unrivaled power, versatility, value, and quality. The Z-7010 from ZBA is a compact, ergonomic and wall-mountable fixed data terminal. 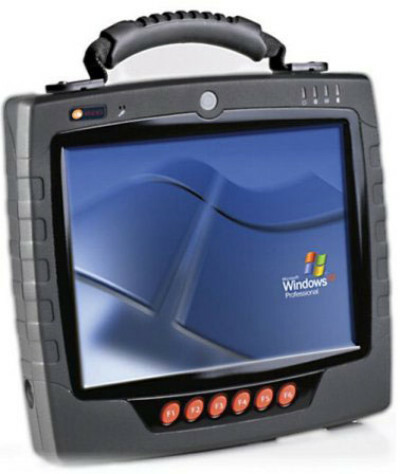 Itfeatures a QVGA 320 � 240 FSTN with touch panel, 6-key keypad and 1D/2D/RFID optional barcode capture. It is also equipped with 10-Base T Ethernet and 802.11b wireless communication. Its EasyCheck feature uses an omni-directional barcode scanner to perform accurate barcode scanning. Sporting an Intel Atom processor, up to 3 GB of RAM, and a 10.4" outdoor-readable touchscreen display, the DLI 8500P provides enough processing muscle and screen real estate to power the most demanding applications you can throw at it. Running multiple (& concurrent) wireless communication options - including GPS, WiFi, Bluetooth, CDMA and GPRS - means the DLI 8500P moves mobile computing into an even wider array of rugged environments including logistics, public safety, transportation and field service. Housed in an ergonomic, impact-resistant casing and offering a wide variety of mounting options, this IP64-rated rugged device is easily installed into most any industrial or commercial vehicle. The DLI 9200 sets a new standard for power, price, and performance in a vehicle mount computer. Sealed against water and dust, and designed to meet stringent standards for vibration, temperature, and shock, the DLI 9200 wireless industrial computers come built to operate in the roughest of environments. 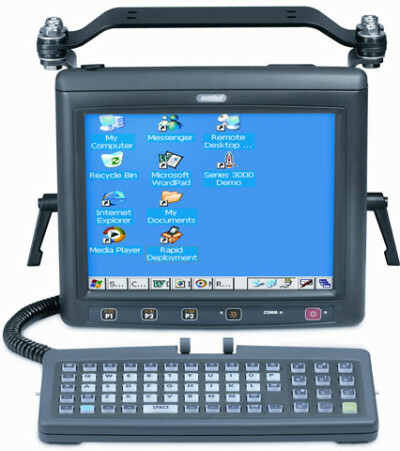 From forklifts and pallet trucks, to construction equipment and emergency response vehicles, the DLI 9200 vehicle mount computers are designed and built to meet the unique challenges of vehicle-based computing. The MT650 is the new upgraded version of the MR650 fixed mount terminal. This multifunctional terminal is ideally suited for time management, access control, loyalty programs, intercom, work-in-process and surveillance applications. 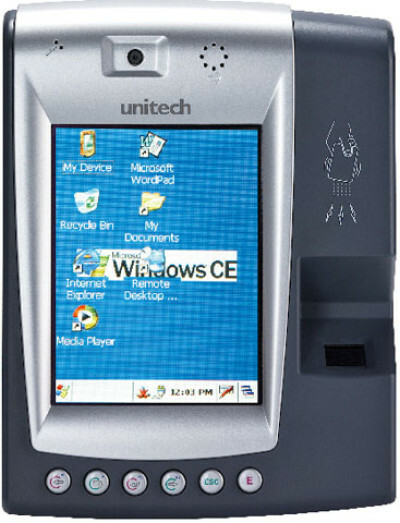 Running on the Windows CE 6.0 operating system and featuring a large 5.7-inch VGA color touch screen, the MT650 also works as a mini-Kiosk station on top of a variety of applications. Users increase productivity right from the start. The MT650 package includes programming tools and support software to make application development easier than ever. The MT650 can communicate with a central host security and time & attendance system via standard Ethernet or WLAN networks. The MT650 is also capable of controlling area security with its built-in CMOS digital camera, microphone, and audio speaker. To stay ahead in today's highly competitive business environment, warehouse operations managers need to contain costs and gain additional efficiencies wherever possible. The Intermec CV41 vehicle-mount computer provides the ideal balance of operator usability, application performance, and ease of deployment and maintenance all of which leads to improved forklift operator performance and gives you a true business edge.